Roy Scheider lends his intense talent to this taut action-adventure from director William Friedkin. Set on the edge of a South American jungle, a desperate four-man team, led by Scheider, must transport a volatile cargo of nitroglycerine over 200 miles of treacherous terrain in order to stop a potentially disastrous oil fire. Enter into this potentially explosive mix of split-second strategy and jolting suspense set against an outstanding score by Tangerine Dream. When I first viewed 1977�s Sorcerer in 1999, I went in virtually blind, as I knew next to nothing about its story. 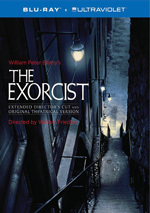 I decided to give it a try just because William Friedkin directed it as the follow-up to 1971�s French Connection and 1973�s Exorcist. With that track record, I figured Friedkin�s presence behind the camera made Sorcerer worth a look. 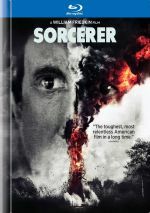 Here's the knowledge I had of Sorcerer before I watched it: 1) Friedkin directed it; 2) Roy Scheider starred in it; 3) it involved a truck in some capacity. That's it � that�s the list. Well, I guess I also assumed it was some kind of thriller; I was pretty sure it wasn't a romantic comedy. Otherwise, I enjoyed absolutely no clue what sort of plot the film would follow. To some degree, I feel this can be the best way to see a movie for the first time. Imagine how exciting your favorite films would be if you had literally no idea what would happen. That�s how I first viewed Raiders of the Lost Ark in 1981, and I still count that as one of the great movie-going experiences of my life. In the case of Sorcerer, however, a little foreknowledge might have been helpful, largely due to the slowness with which the story of Sorcerer develops. The film follows four desperate guys who go on a potential suicide mission to drive a truck full of nitro in a remote South American area, but the film doesn�t even hint at this narrative until we near its halfway point. For the longest time, we don�t know where the plot plans to go with its characters. I won�t say that this lengthy setup becomes a bad thing; actually, it turns into an essential way to introduce the characters and to explain their situations. However, when you have no clue as to where the story's going, it can get somewhat frustrating and tedious. For some movies, foreknowledge doesn't matter because they quickly make it clear where they will go. Take Star Wars. It starts with a text introduction of the story, and then immediately launches into action that sets up much of the narrative. Five minutes after the lights go down, you've met four of the eight main characters and you know much of the background for the plot. Other movies take a much slower, more extended path. For this side of the fence, look at Alien. It takes about 30 minutes before we see any non-human life forms, and the movie gets to its halfway point prior to the initial appearance of the titular creature. Like Sorcerer, only then does the true intent of the story become apparent; until the midpoint of these films, the audience has no real idea what the overriding plot of the movies will be. That's not a bad thing at all. I'm not espousing one way of making a film over the other; they each work very well in different situations. My point is simply that for me at least, probably since I'm so used to knowing a fair amount about movies before I see them, I found Sorcerer to be a somewhat frustrating experience for the first half simply because I had no idea where it was going. My frustrations notwithstanding, I actually admire that kind of filmmaking. Friedkin worked much the same way in The Exorcist in that he made explicitly clear to the audience; the movie alluded to characters and circumstances but they rarely received any kind of full explanation. I liked that in The Exorcist, and I like it here as well. Friedkin certainly offers a great deal of suspense and drama during the second hour of the film as our leads attempt to transport the nitro, something he does without benefit of any sympathetic characters. All of them present as bad guys for a variety of reasons; they wouldn't be stuck in a remote South American craphole if they didn�t need to hide from something. Still, our conditioning makes us view them as our "heroes" whether we like it or not. Although we know little about these characters and really have no concrete investment in their futures, we nonetheless want to see them succeed. While solid, Sorcerer doesn't seem to be as creative or as visionary as The Exorcist. The latter film stands as a unique and amazing piece of filmmaking, whereas the former's just another pretty good thriller. Friedkin possesses an unflinching eye, apparent in the graphic nastiness of The Exorcist and in the squalor of the South American village depicted in Sorcerer. Rarely has a director made an unpleasant place look quite so horrible. Other than that, though, I don't think that Sorcerer offers any of the cinematic creativity contained in the earlier film; even with its quirks, it simply seems more conventional to me. Sorcerer also lacks any really interesting characters. All the acting seems very good, with a typically strong performance from Scheider, but the problem stems from the characters themselves. They're designed to be anonymous, since that's how these men need to live their lives in hiding, and that's basically how they remain. This functions just fine in regard to the plot, but it doesn't help create much interest in the roles. Although I don't think it becomes a great film, Sorcerer still offer an unusual tale and solid work. It's probably the kind of movie that will improve upon subsequent viewings when I feel less overwhelmed by the uncertainty of the whole thing. 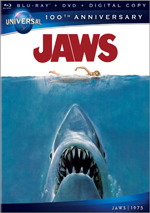 It may not be in the same league as Friedkin�s best films, but it still presents an intriguing, often exciting tale. Sorcerer appears in an aspect ratio of 1.85:1 on this Blu-ray Disc. I felt thoroughly impressed by this strong presentation. Sharpness worked well. Only a slight hint of softness ever appeared, and I suspect those instances stemmed from the original photography. They remained minor, as the majority of the movie displayed terrific clarity and accuracy. I saw no signs with jagged edges or moir� effects, and edge haloes remained absent. I also witnessed no issues with print flaws, as this was a consistently clean image. In terms of colors, Sorcerer tended to look pretty natural. Given how much of the film took place in the South American jungle, greens dominated, but they didn�t do so in an artificial manner. The hues tended to fit the circumstances, and they seemed well-rendered. Blacks looked deep and rich, while low-light shots came across as smooth and distinctive. Across the board, the movie delivered top-notch visuals. While not quite as strong as the picture, the DTS-HD MA 5.1 worked well. Adapted from the original Dolby Surround mix � which didn�t appear here, unfortunately � the new 5.1 track used the various channels well. It didn�t go overboard, but it filled the room with logical audio that blended together in a smooth, satisfying manner. This became most apparent in action scenes or those with rain/thunder, but even in quieter sequences, the track created a solid sense of place. Audio quality held up well after 37 years. Music was rich and full, and speech usually sounded fine. Some of the lines could seem a bit brittle or edgy, but they mostly came across with positive delineation. Effects appeared accurate and lively, with clean highs and impressive low-end when necessary. I do wish the disc had also included the theatrical mix, but I felt the 5.1 version suited the film and added to the experience. How does the Blu-ray compare to the original 1998 DVD? In all ways, the Blu-ray trounced the DVD. It provided warmer, more dynamic audio and gave us tremendous improvements in picture quality. Not only was the DVD the wrong aspect ratio, but also it looked fuzzy, dirty and ugly. Use the DVD as a coaster � it gets blown away by the Blu-ray. Unfortunately, the Blu-ray did little to expand the extras of the old DVD. Actually, it comes with nothing on the disc itself, so it loses the trailer and text info from the original release. Instead, we get a short Director�s Note and a Hardcover Book. Both provide comments from William Friedkin. In the �Note�, the director tells us what led him to the project and his thoughts on its modern restoration. The book includes photos, quotes from movie reviews and excerpts from Friedkin�s autobiography. All of these work fine and give us some good details about Sorcerer, but the absence of more substantial bonus materials remains a definite disappointment � and a perplexing one, too. Friedkin tells us that he regards Sorcerer as his best film, so why not record a commentary for it at least? Despite that, I feel pleased with this release. Though not a success when released in 1977, Sorcerer holds up well over the last 37 years. It brings us an intriguing and eventually dynamic thriller with a lot going for it. 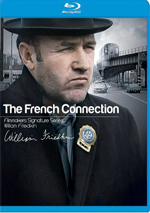 As noted, the Blu-ray lacks substantial supplements, but it provides terrific picture and audio. Except for their disappointment at the nearly non-existent extras, fans will be delighted with this stellar presentation.